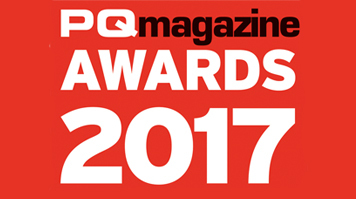 London South Bank University (LSBU) has been named ‘Accountancy College of the Year - Public Sector’ at the PQ Magazine 2017 Awards. Each year PQ Magazine, a leading publication for accounting students, holds an awards ceremony to recognise, encourage and reward the work of students, lecturers and colleges in the accounting world. LSBU’s Professor Mike Molan, former Pro Vice-Chancellor and Dean of the School of Business, and Anna Howard, Associate Professor in Enterprise Education, were nominated as ‘Personality of the Year in Accountancy’ and ‘Public Sector Lecturer of the Year’, respectively. LSBU has enjoyed many other recent successes, including being awarded the Small Business Charter Bronze Charter Award; being named the top University in the UK for teaching satisfaction for accounting and finance in the Guardian League Tables 2016; and being declared the No.1 University in the UK for Student Experience in accounting and finance in the Sunday Times League Table 2017. This year’s awards judges were Association of Accounting Technicians (AAT) Head of Product Rachel Kellett; Association of Chartered Certified Accountants (ACCA) Director – Education Network Alison McHugh; Chartered Institute of Management Accountants (CIMA) Director of Learning Peter Stewart; Institute of Chartered Accountants in England and Wales (ICAEW) Director of Qualifications Shaun Robertson and Professor Prem Sikka. Find out more about our Accounting and Finance courses.